« You’ve seen the butcher. This was our first session which took a few hours. It’s not really a marionette as there are no strings attached to the appendages, but we loosely designed the body after those skeletons you see in the French Quarter souvenir shops. This project took about 7 or 8 hours to complete. 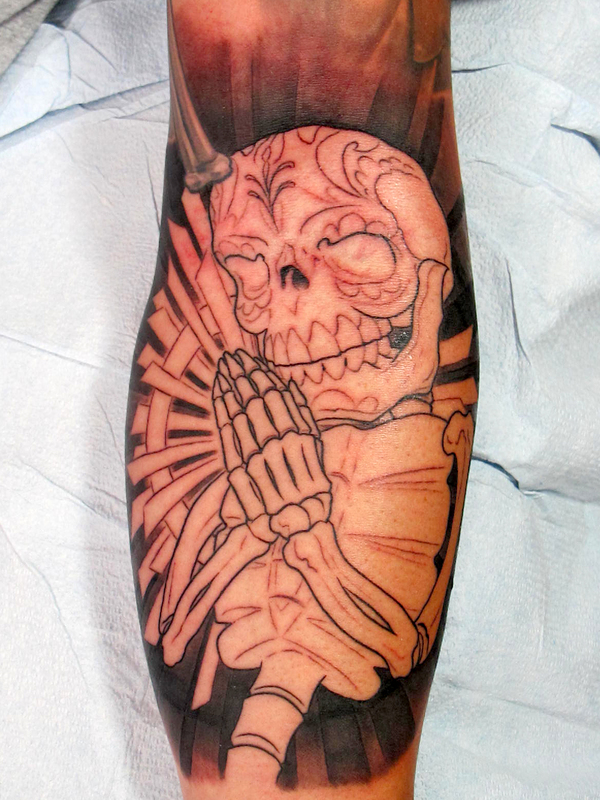 Another fun tattoo for me to file under the interesting praying hands concept. I was happy with the way this tattoo fit and is a clear example of how I try to create a dynamic look in my tattoos by working within the frame of sight and also making the image a little over-sized to fit in the area we are working on. This technique lends itself to the notion that we are no longer viewing a body part, but more of a central focus of the tattoo. Almost as if the image is there and the outer lines of the arms shape have created our frame. 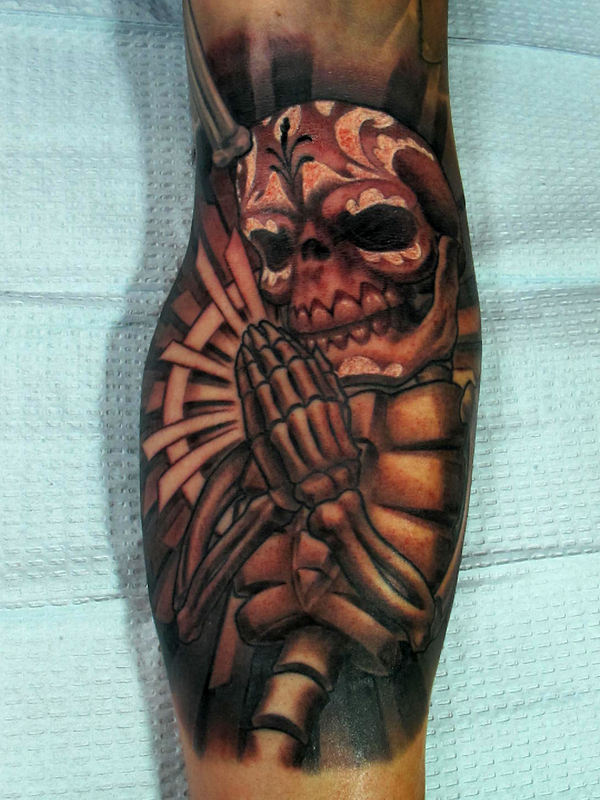 This entry was posted on May 19, 2012 at 7:32 pm and is filed under Tattoo with tags Day of the Dead, Praying Hands, Skeleton. You can follow any responses to this entry through the RSS 2.0 feed. You can leave a response, or trackback from your own site.